Remember these? I had one when I first went away to school. All the cool stuff, packed away just so. Wonder what happened to it? 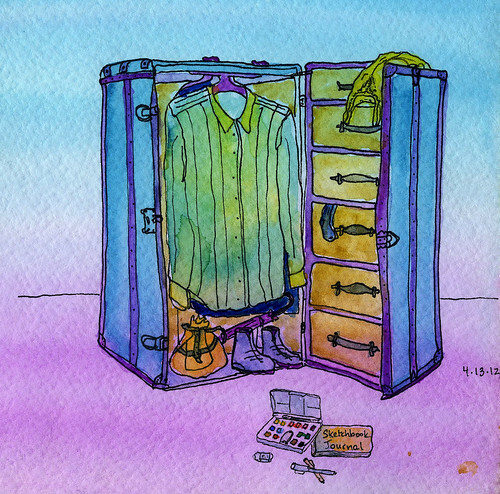 So this is a memory drawing, with – of course, an important new update: The little watercolor set and the travel journal, ready for the next adventure!